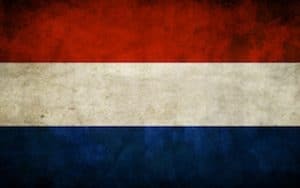 Dutch Courses Amsterdam - Dutch lessons Amsterdam | Learn Dutch! 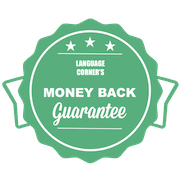 Here you can find all the Dutch courses in Amsterdam available at Language Corner. We offer group courses, conversation courses, private lessons and online courses. 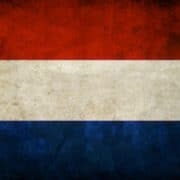 Looking for Dutch lessons Amsterdam? Learn more about our Dutch courses Amsterdam! Join our Dutch group courses in Amsterdam to learn with other students in a fun environment! We give Dutch lessons in Amsterdam in small groups (4-8 students) and students always have the same level as you have. You will not only use the books, but our crazy and inspirational teachers will get the best out of you with fun activities and exercises! Don’t know your Dutch level? Schedule a free intake to determine your Dutch level. If you want to improve only your Dutch speaking skills then a Conversation Course is what you are looking for! You will have the chance to practise Dutch with the other students and of course our native teacher. The Conversation Courses are split in two level groups, so you always have classmates with kind of the same level. During the summer period we offer intensive Dutch summer courses in Amsterdam. They take 2 weeks and are given in small groups by professional and cool teachers. We offer summer courses for the A1 and A2 level. You can choose to take Dutch lessons in July or August, or both of courses! If you aren’t able to attend our physical courses, taking our online Dutch course could be the ideal solution for you! The Dutch Every Day course consists of 365 lessons and is designed for beginners. The course is also great for taking it next to our physical Dutch beginners group course. Are you interested in one of our courses? You can book the courses directly through our website. Do you have further questions? Check our frequently asked questions or fill in the contact form below and we will contact you as soon as possible.